"I'm able to advise my clients on the ups and downs of the property, what type of repairs they would be looking at and the costs involved, and I pull a history of the home so that gives them a true picture of the resale value," he says. Sharing that knowledge and experience helps his clients decide if the home's asking price is worth it when making an offer and is especially useful when there are multiple bids on a home (his last three buyer sales were multiple bids and his clients came out on top). Through his rental properties experience, Ron's also been able to establish a list of trades people who are not only experienced but prices affordably, which he shares with his clients, giving them another advantage. "If they need anything fixed in the home, i can give them excellent references on people who would do the job right and this can save them money and an enormous amount of stress in the long run." 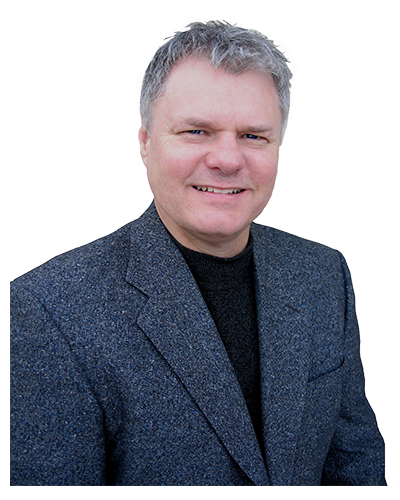 As well, Ron has a good network of other industry-related professionals who can assist clients with items such as mortgages, home inspections and legal aspects.Although his efforts have resulted in industry successes, Ron is more proud of his achievements in helping clients find their dream home. It is one of many reasons that his clients come to him through referrals. Ron credits much of his success to his wife, a graphic artist who works with him full-time, helping with administration, home staging, and she "does the photography that really tells the story of the home." This longtime Realtor also gives back to the community, supporting the Shriners Hospitals for Children.